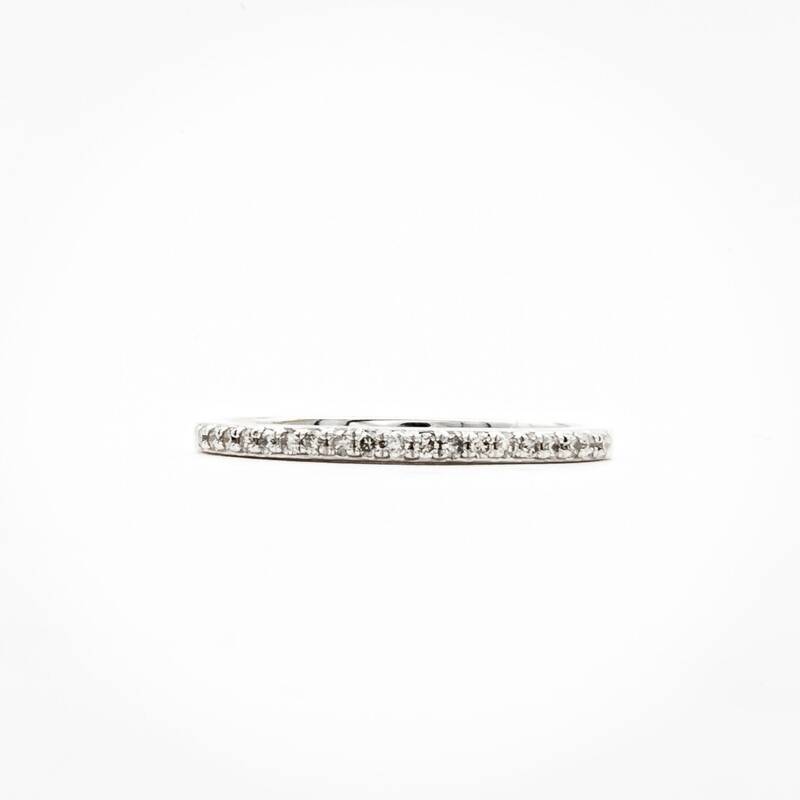 Brilliantly Stackable, this diamond wedding band is set with 21 round matched brilliant cut diamonds. 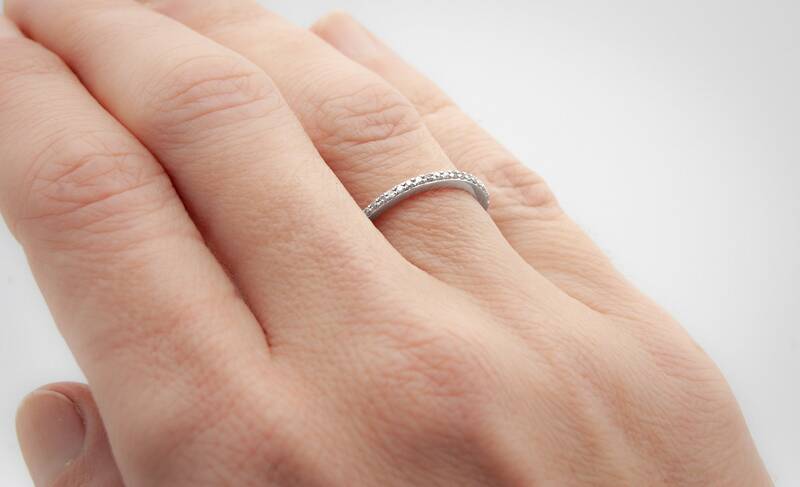 The total weight of all 21 diamonds is 1/5 of a carat. 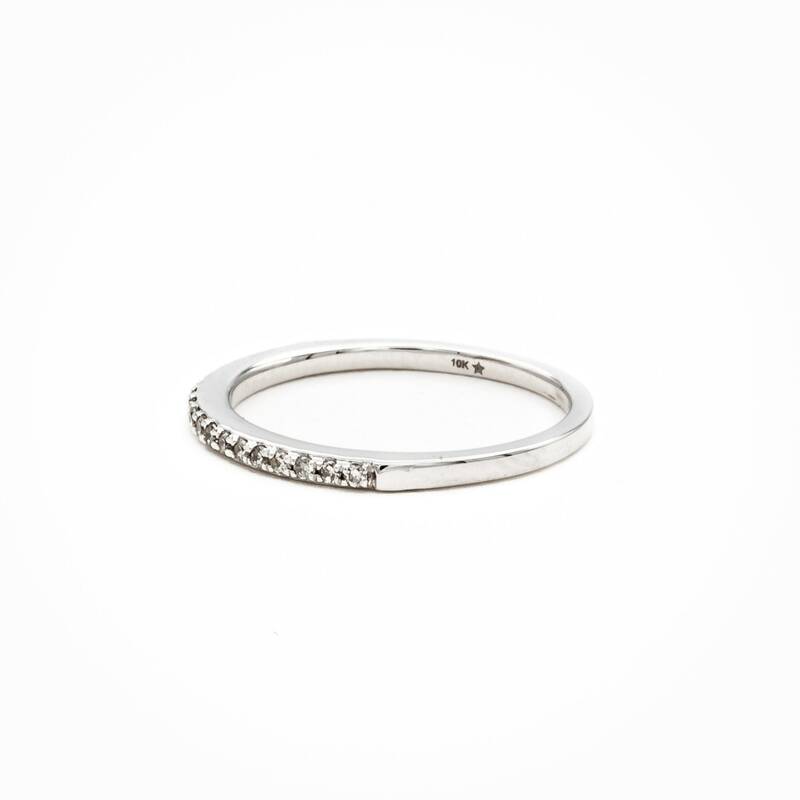 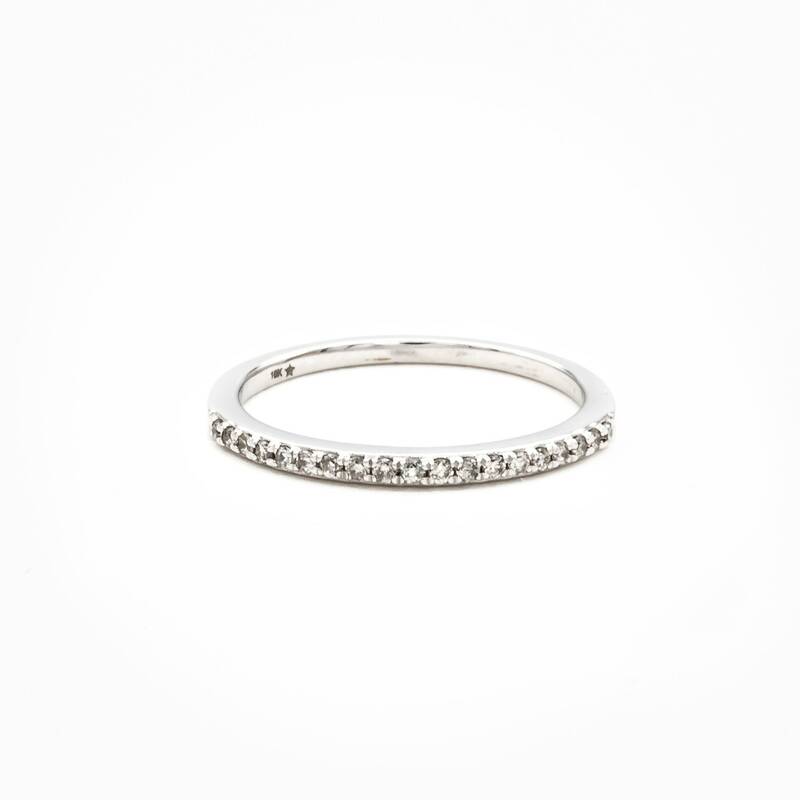 Perfect for the Minimalist bride to be or as a celebration ring of any sort. 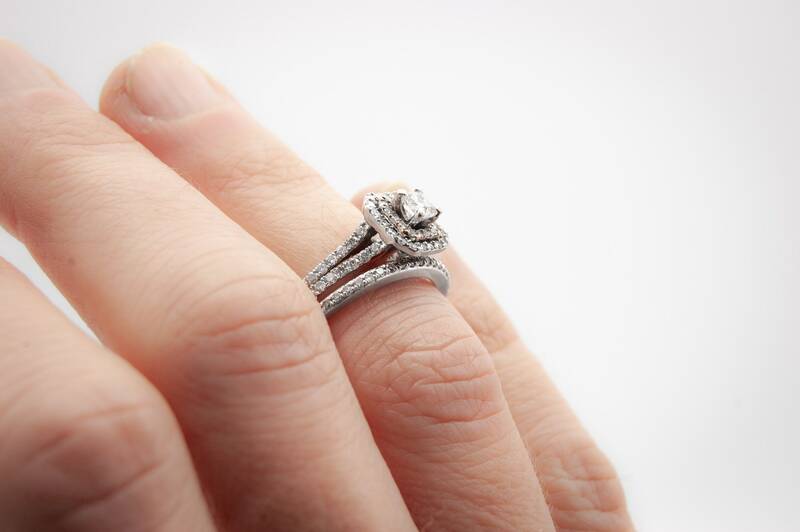 Seen here paired with our Double Halo engagement ring. 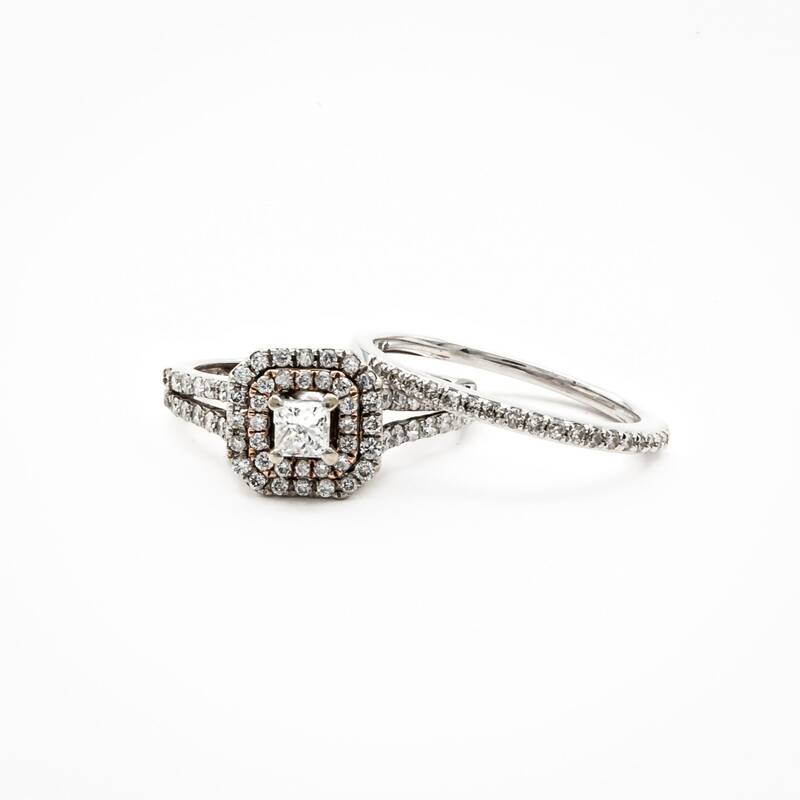 These two make a perfect matching where the diamonds line up. 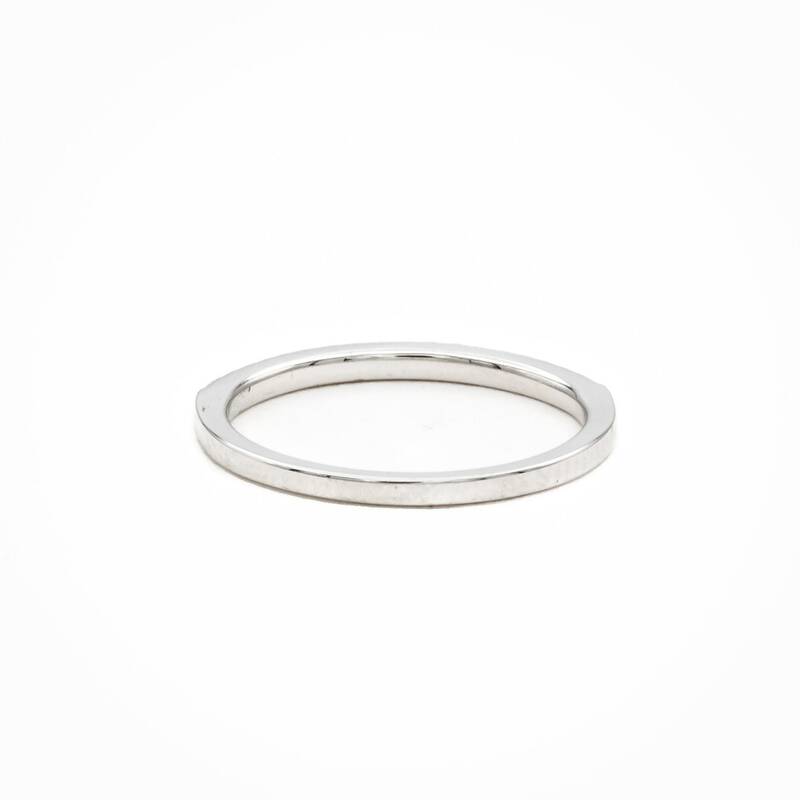 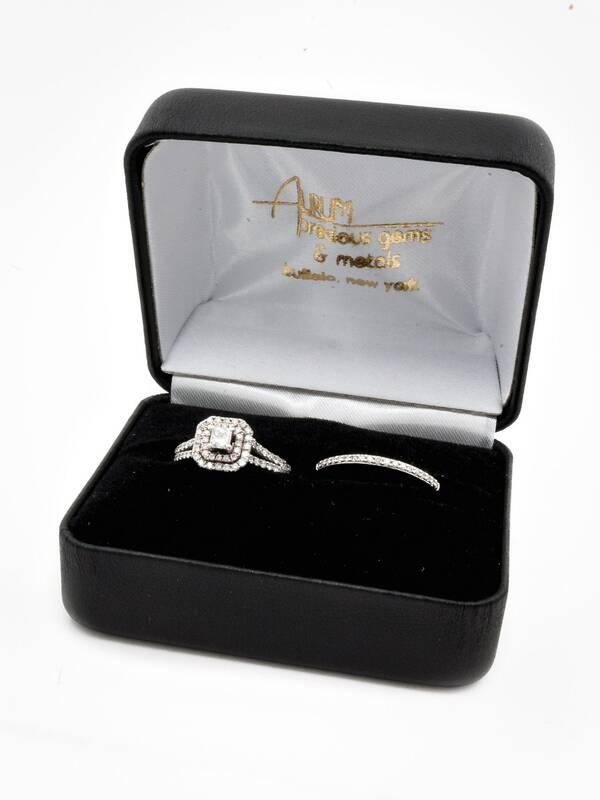 This ring is a size 4 1/2 (US), but we can re-size it to fit you perfectly.